Well designed storage solutions to help maximise space in your Brisbane or Gold Coast home. Simplify your life with storage solutions designed to inspire from Just Wardrobes. 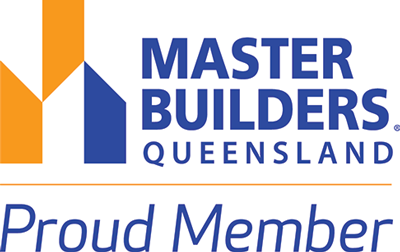 We offer affordable, quality designed, custom built wardrobes for the residents of Brisbane, the Gold Coast, and nearby suburbs. Our expert and experienced cabinetmakers at Just Wardrobes can create exactly what you need to maximise the space in your home. We design and make built in wardrobes, walk in wardrobes, shelving and wardrobe systems, wardrobes with sliding doors, wire wardrobe systems, storage cupboards, and joinery solutions. We can even create designer wardrobe solutions for your home! 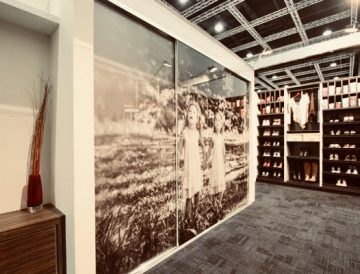 We are the Brisbane and Gold Coast experts in wardrobe design, giving you a custom wardrobe for your home that meets all your needs. Make your life easier with a wardrobe solution of any type built specially for the space you live in. 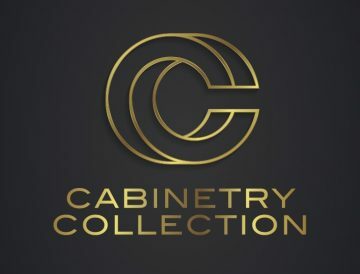 Cabinetry Collection Meticulously designed for your taste, space and home. 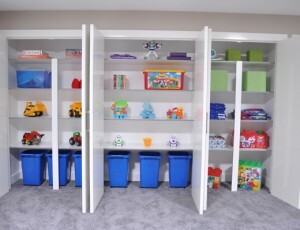 Your Space Shelving and storage solutions to maximise the enjoyment of your space. 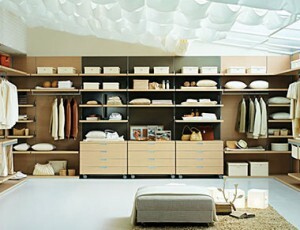 Wardrobe Systems Complete the look of your home with our custom built shelving systems. Boutique Robes For that modern, upmarket and unique look that provides a statement. Hi, I just wanted to send thanks to the Just Wardrobes & Storage Team for delivering my book case. I'm more than happy with the final product and certainly could not envisage the size of it before we started. Hope to work with you again in the future. Hi Karina, I looked at the wardrobe yesterday and it looks fantastic. Hopefully I will be able to sell lots of these with every new home being built by Aushomes sold from that display home. I expressed our thanks to Terry the other day, but wanted to extend it to yourself and the rest of the Just Wardrobes Team. We couldn’t be happier with the end result and have found dealing with the entire team a real pleasure. We will not hesitate to recommend the company to our friends and family. Many thanks. Thank you very much for my splendid wardrobe, over the weekend I had the joy of filling it up with our belongings. I will be recommending your company for your great service, super fast installations and competitive pricing, Deanne. I had to deal with Nikki a great deal as we were making it all match with existing cabinets and she was more than helpful and nothing was ever a bother. Communication between yourselves and the customer is excellent with continual followup and time schedule keeping the customer informed. It is okay to publish these comments. Thanks. Wonderful service can not fault. Highly recommend Just Wardrobes. Very professional, effecient and offered a great design with ample hanging space and storage for such a small area. My new wardrobe doors are now on and look fantastic. Thank you for a beautiful job. I will contact you again when I'm ready for my next wardrobe job :), Debbie. I had to deal with Nikki a great deal as we were making it all match with existing cabinets and she was more than helpful and nothing was ever a bother. Communication between yourselves and the customer is excellent with continual followup and time schedule keeping the customer informed. It is okay to publish these comments. Thanks. Debbie. We love our new walk in robe, we have now cleared the clutter from 3 wardrobes into one, it is set out so it is easy to find things, looks neat and tidy and when you open the door it is like going shopping! Also wanted to pass on some feedback about how lovely Ivan was to deal with, but I'm sure you have heard that before! Very professional and worked so hard to fit in with our time constraints to make sure he was finished by Friday night. We are looking forward to moving into the house and using the new wardrobes! Julie. Love my wardrobe, only small but holds masses. Design is the key. Thanks Just Wardrobes. Our whole experience with Just Wardrobes was simple and pain free. Everyone involved did what they said they would do when they said they would do it. Nothing seemed to be too much trouble for those on the other end of the phone. It was a treat to deal with tradespeople who were reliable and good at their work. As a result, we have a fantastic wardrobe that has made our lives easier. I will be recommending Just Wardrobes to my friends. Well done! Thanks for a great job, the result is perfect. Excellent from start to finish, the final product not only exceeded our expectation but has definitely added value to our home. We would be very happy to recommend your company and would like to thank Ivan for putting in the hard yards to get it installed one day. The young man that installed the shelving was fantastic. He was very polite, did a great job and cleaned up any mess made. 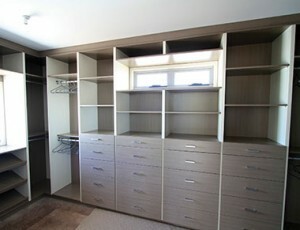 Our wardrobes have certainly organised our clothes, created a heap more space and look fabulous. Thank you. The young man that installed the shelving was fantastic. He was very polite, did a great job and cleaned up any mess made. 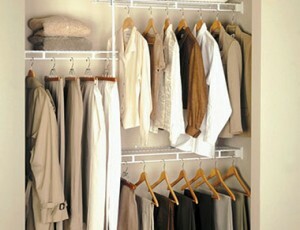 Our wardrobes have certainly organised our clothes, created a heap more space and look fabulous. Thank you. Scott. I would like to thank all that was involved in putting my job together from the first phone call to the quote to install to the finish, Sean. We are thrilled with our new walk-in-robe and storage room. Very friendly, competent, knowledgable sales person!! And extremely fast turn around in getting design and install!! Would use you again anytime and is telling everyone about our experience. The outcome speaks for itself with friends and family. Thank you, thank you Terry and team! Just wanted to say thanks for my wardrobe, the installer was excellent, on time, courteous and cleaned up...very happy with everything...many thanks, Trish. 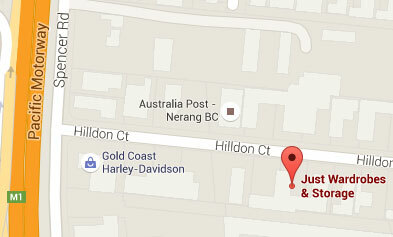 For custom built designer wardrobes and shelving solutions in Brisbane, the Gold Coast and surrounding areas, contact Just Wardrobes & Storage by phone or email today. It’s time to LOVE your space and transform your home. Are you looking for a designer wardrobe? Do you want a simply budget fit-out? Do you need somewhere to put all your shoes? Do you struggle to find anything in your wardrobe? Please tell us about your project and one of the Just Wardrobes team will walk you through our service options. If you’re thinking of getting a new wardrobe installed, paying attention to the finer details makes the difference between convenience and exasperation. Read here how the choice between hinged or sliding doors can make all the difference. If you’re building a new home, you have the opportunity to personalise the space to reflect your lifestyle and taste. As you design each room, don't forget to include ample storage to keep your home clutter-free and organised. Here are a few tips to bring your ideas to reality. If you’re considering installing a wardrobe, your first question may be about cost. Is a wardrobe affordable? Read more here about the cost of custom-built wardrobes. 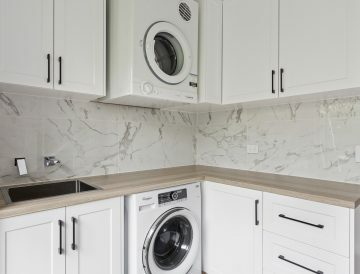 Is your laundry out of date or are you renovating the house? A well designed laundry not only looks great but can save you time doing the washing. Here's some great laundry design ideas to improve your laundry.